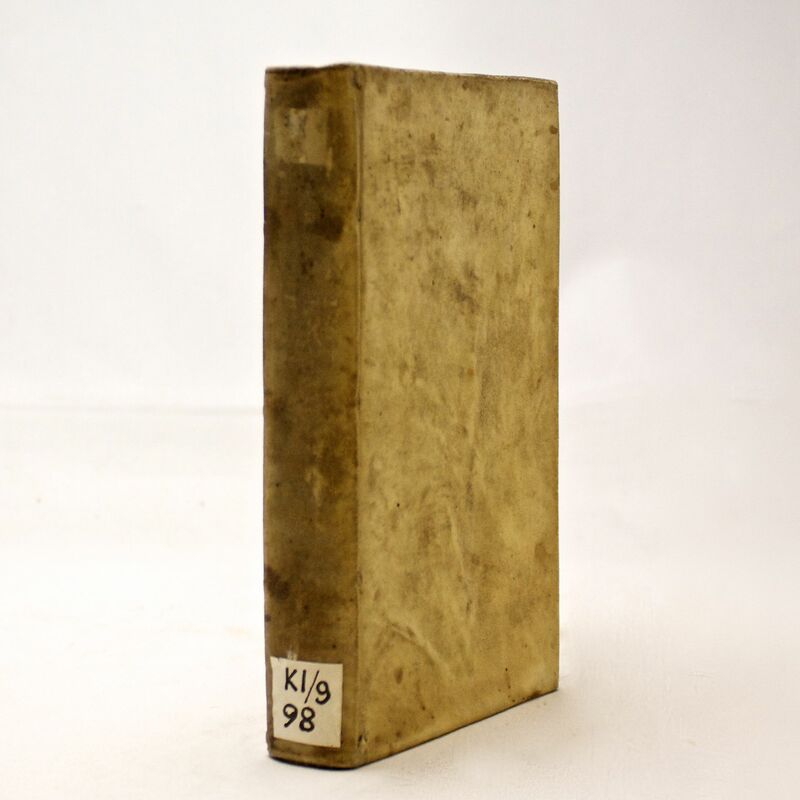 Greek HESIOD on Mythology, Economics... - IFA Vintage and Current Book Library - Index Fund Advisors, Inc. Complete Title: Greek HESIOD on Mythology Economics Astronomy Occult Horology Science. 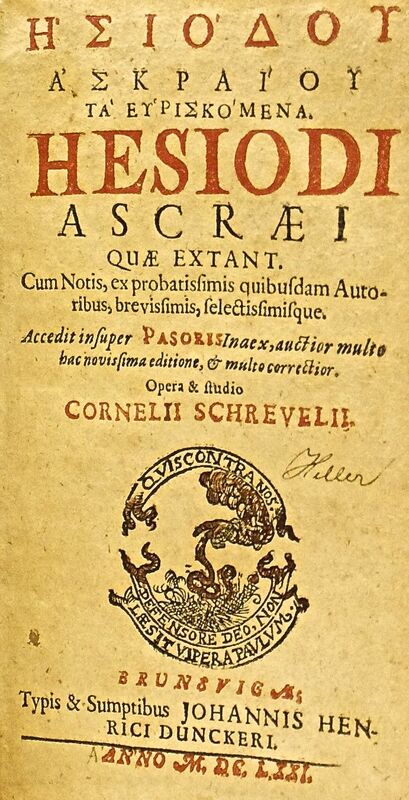 Greek Title: Esiodu Askraiu Ta Euriskomena. Hesiod is sometimes identified as the first economist. He was a Greek poet generally thought by scholars to have been active between 750 and 650 BC, around the same time as Homer. His is the first European poetry in which the poet regards himself as a topic, an individual with a distinctive role to play. Ancient authors credited him and Homer with establishing Greek religious customs. Modern scholars refer to him as a major source on Greek mythology, farming techniques, early economic thought, archaic Greek astronomy and ancient time-keeping. Some scholars have seen Perses as a literary creation, a foil for the moralizing that Hesiod develops in Works and Days, but there are also arguments against this theory. For example, it is quite common for works of moral instruction to have an imaginative setting, as a means of getting the audience's attention,[nb 2] but it is difficult to see how Hesiod could have travelled the countryside entertaining people with a narrative about himself if the account was known to be fictitious. Gregory Nagy, on the other hand, sees both Persēs ("the destroyer": πέρθω / perthō) and Hēsiodos ("he who emits the voice:" ἵημι / hiēmi αὐδή / audē) as fictitious names for poetical personae.